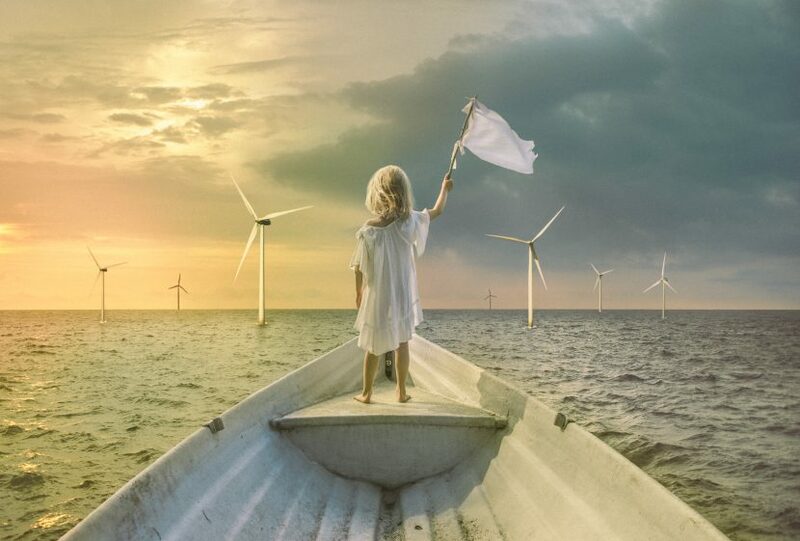 It was very clear: a small girl standing on a boat, wearing a white dress, holding a white flag of surrender, in the middle of the sea facing a wind turbine field. I named the idea ”Mercy”. Mercy is one of my favourite words. I even made my master thesis on that subject. Powerful word that can be changed into a cry of help with only one mark – mercy! A powerful word that keeps inside an act of goodness. Mercy. There is a place in all of our lives when we have needed mercy, place where we had cried for mercy, place where we have hopefully felt what mercy is. For me this image keeps inside many stories. I believe we all can add our own interpretation to it. Sometimes it is even better to give your art to public and after that the creation starts to live its own life. So before reading any further – what do you see? What is your interpretation? I want to share my path of how I created this scenery, to tell those five ideas which blended together unexpectedly. Together they shape an entire story. Music is definetely one of the biggest inspirations for me and one song was a push to create this image. Before watching out of that airplane window, I had listened a song Mercy by Madame Monsieur (<- link, listen it). When I find a song that I like, I just play it over and over again for few weeks. I really fell in love with the atmosphere and the story in that song. The song tells a true story of a baby who was born in Mediterranean Sea on a refugee boat and survived, and who was named ”Mercy” after they were rescued. For me, the harsh images of the migrant crisis, of the drown children, have left a permanent mark inside of me. Tears and questions without an answer. Why they had to face that horrible destiny? The song and the story brought some light for me to deal these hard news. Many beautiful stories of survival should be told and heard. Like the story of this baby. These lyrics just give me chills..in a good way. This one I already told. Sometimes you just have to look out of the window to get inspired. 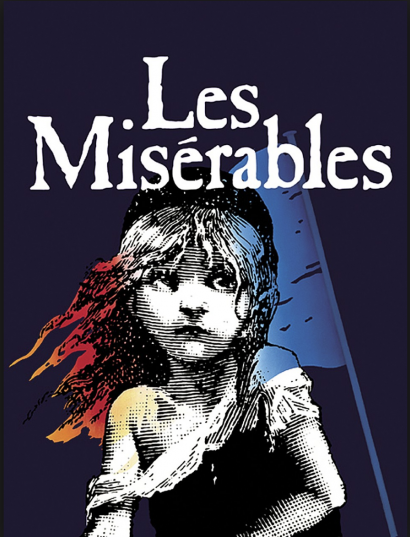 I was just a teenager when I saw the musical Musical Les Miserables for the first time. I fell in love immediately. I know all the lyrics by heart and some parts of the melodies always give that certain feeling that I just cannot explain. The story of the June Revelation on streets of France has an iconic poster where a small girl stands in front of the waving flag that symbols the barricades of revolution. Iconic drawing is made by Émile Bayard who has made the illustrations to the original book of Les Miserables by Victor Hugo. I really love that musical poster. When I saw my vision of Mercy inside my mind, I thought there is something familiar in it. I realised that the flag, the girl of innocence and the off shoulder dress came from this poster to my mind. 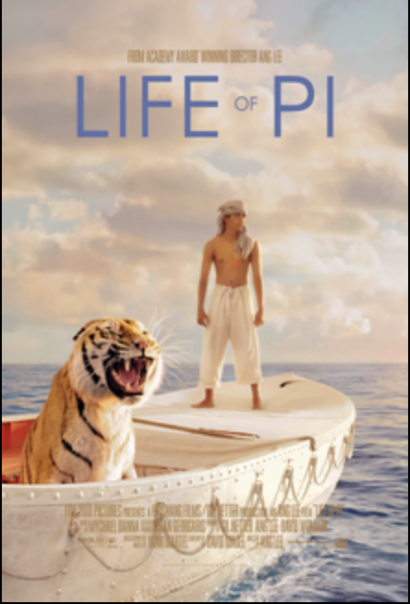 I have seen the movie Life of Pi two times. It’s a beautiful movie visually. 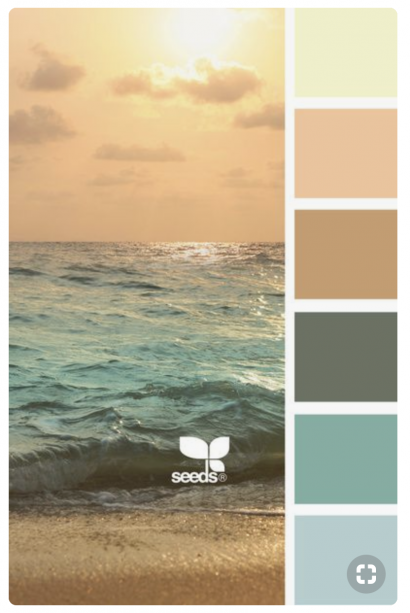 After seeing Life of Pi for the second time, I wanted to try to create something with pastel tones. With ”Mercy” I finally saw these light tones. I have made quite a lot dark images lately and it was time to try something new. Something that would look like a pastel painting with no dark shadows. I believe that most of us just scream silently ”mercy!”.